Testimonials - The Original Pillow With A Hole. Every so often we get a letter or an email from a customer. Thank you everybody for your kind feedback. It is wonderful to know that our pillows are helping. I was diagnosed last year with CNH. My Dr. advised a pillow that had a hole. I went to my computer to find one. The sore on my ear demanded a pillow in a hurry. I ordered an inexpensive pillow that I saw on Amazon in the US. Pillow was awful and my ear was not improving. Searched again and found the “Pillow With A Hole” company. Ordered one and a pillowcase. It is very comfortable and my CNH was cured and has never returned! I sleep very soundly with it and I don’t need an extra pillow under it. Went on vacation and really missed it. Now I bring it everywhere. Just ordered a second so I can wash the first and not be without it even for a minute. My CNH which was painful and ugly has not returned. My PWAH was inexpensive when you consider the doctors bill and the pain and the chance that I would need surgery. I heartily recommend this pillow for anyone with CNH!! It is now two weeks of using the pwah and my pressure sore is almost healed, wish my doctor had known and told me about this pillow, it would have saved me from two nasty procedures to try to resolve my problem. I first thought that £40 was a little excessive for a pillow but it is much more than that – it is a cure. Thank you so much, my general health is much improved as I now get a good night’s peaceful sleep. I wanted to write in regard to my recent purchase of the pillow with a hole. It is the best purchase I have ever made, I am pleased with the product itself but also the packaging and delivery considering it is made in the UK and I live in Iowa in the United States. I am a 72 year old lady who has suffered with myriad ear problems. since age 11, including excema, after which I developed lumps on my outer ears which the doctor froze several times and eventually took a sample of. It turned out to be a long word I could not pronounce but started with an A. I have gone to a specialist for a couple of with not much better results including shots in my outer ear lobe. She said it was because I slept on that side all the time. At times it would break open and bleed and my only recourse was plastic surgery. In passing she said maybe I should get an ear pillow, which I had never heard of. To make this long story short, your pillow has changed my life. Not only is my ear better but it has also helped my neck problems, not to mention sleep problems. Thank you from the bottom of my heart. Recently ordered your pillow for my 93 year old mom who has had CNH for months. She couldn’t sleep on that ear and the ear just kept getting more inflamed. We saw ENTs who removed some of the ear, her family doctor who gave her antibiotics, anti inflammatory medicine and heavy duty creams. Nothing worked until we got your pillow and believe me, we were at our wits’ end. Yes, the price was a little steep for us, but it was well worth it because it did the trick. I was very impressed with the quality of the pillow and especially that it had a zipper sewn in. Thank you so much for designing and manufacturing this. She now sleeps peacefully. Your pillow was the answer to our prayers. I just had to write you because I absolutely love your Pillow with a Hole. The sore spots on my ears are healing and my shoulder and neck pains are going away! I know this isn’t intended to be a therapeutic pillow for neck and should pain, but the pillow is so supportive and on both sides and my back, that I sleep better than ever and wake up feeling rested without any pain or discomfort. Thank you for making this thoughtful product with quality and care. I appreciate it so much! All the vest with your endeavor! I just got my pillow today. I’m so excited to use it. My hubby snores and I wear ear plugs. I tried it out with them in and no pain. I think you saved our marriage. I would like to thank you so much for your comfortable pillow which has made such a difference to my sleep pattern. Congratulations to Judy and all at your company for helping everyone to get a good night’s sleep. Thank you for your amazing pillow, have tried all sorts of diy padding for my CNH (was actually a burn from using heating pad for neck). Had my first good nights sleep for months last night. Mum has been suffering with pain on the outer rim of her ear while sleeping for such a long time we never thought we would find a cure! After just one night sleeping on this very comfortable pillow, it has solved the problem completely! She is now recommending it to everyone and her neighbor has purchased one for herself. She is really happy and would like to say a BIG Thank you. P.S. The pillow and pillow case are beautifully sewn from lovely soft fabric ( very comfy). I just wanted to let you know that your pillow has worked wonders. My ear has completely healed and it took no time to get used to using the pillow. I have had this problem for about 2 years and I can finally say that I am 100% healed. I have gotten so used to the pillow that now I feel strange when I don’t use it. Thanks again and I am so happy that I made the purchase. I just wanted to let you know that the pillow did finally arrive. Hurrah!! Mom used it last night and LOVES it! She has been searching for a long time for the “right pillow with a hole” and I think she has finally found it. Thank you!!!! Received pillow and last night had the first pain free sleep in months and months. Thank you so much. Thank you!!! I received the pillow and I am so pleased. I am able to sleep the whole night through …. and it is so comfortable .. thanks again. Just to let you know the pillow has arrived and I am very pleased with it. I just wish I had heard of this months ago when my ear first started hurting. Thank you for making my nights less painful. I’ve been using your pillow for 10 months now and I couldn’t live without it! The pressure sore on my ear has completely healed but I am not tempted to go back to a standard pillow as I find the PWAH so comfortable for sleeping. Thanks for a wonderful, and beautifully made product. Just a quick note to say thank you for making these. My mom has been suffering with CNH for months and now it has completely healed. We’re so grateful to you for this! Just to let you know I’m really happy with the pillow. As I told you, I bought one from France made by a big company and yours is 10x better! The design is the perfect shape and very comfortable. I will get a much better night’s sleep now. I purchased the pillow with a hole and a pillow case last December and I just wanted to let you know what a brilliant pillow it is. I was able to lay and sleep on my left side for the first time in months. I have just returned from the dermatology clinic for more treatment on my ear, and told my Dr. how good the pillow is. He would like your company information to pass on to other patients if that is OK with you. I hope that you and yours are having a happy, healthy and peaceful Christmas. I’ve just gotten off the phone with my Mum who is absolutely raving about how wonderful the pillow is. She tells me that the pressure sore is actually healing, and that she can now lay down with some relief from that awful pain. She had even begun to get a pressure sore on the other ear but that has already disappeared in just a few nights. To us that pillow is worth its weight in gold and I can’t tell you how glad we are to have found you. I have a condition called Chondrodermatitis Nodularis Helicis which is a very long name for a small but painful condition on my left ear. As I sleep on my left side all the time my ear became very sore and painful with an exterior sore that just would not heal. I am receiving treatment from the hospital but it can take many many months to improve and in some cases it fails to heal completely. I was lucky to find the “pillow with a hole” and wow what a difference. As Soon as I tried the P.W.A.H I had the best sleep for many many months – I can now lie on my left side and there is no pressure on my ear and it is beginning to heal after 10 months of problems. The quality and make of this pillow is of a very high stand and my consultant at the hospital is also very impressed with the difference it has made to my ear. I cannot recommend this product enough it is brilliant and really helps folks that have sore ears. I just wanted to send a message to say thank you so much for making and shipping the Pillow with a Hole that I recently ordered so quickly. This has made a huge difference to my husband, who regularly suffers with ear problems and we have struggled for a long time with large amounts of different medicines which have not helped, we began to think there was something more seriously wrong and after months of test, scans and worrying he has finally been given the all clear for anything neurological. He was still feeling uncomfortable and waking up every day feeling groggy but since receiving this pillow my husband is getting back to his normal self and is finally waking up pain free and happy again. Its been a horrible year so far and the impact this has had on my husband is incredible. I purchased my pillow a couple of weeks ago and the results have been incredible! Having suffered from chrondodermatitis for several years and undergone two very unpleasant surgical procedures, I was still left with the problem! After just a couple of weeks my ear is almost completely healed and I am able to sleep completely pain free!! When I attend for my follow up visit to the hospital, I will be telling them all about my pillow and the amazing results!!! Thank you so much for my new pillow with a hole. It arrived so quickly, and is very comfortable. I will definitely recommend my sister should buy one, also. She has a similar problem with her ears. As I said before, I couldn’t believe there were other people with this problem. I honestly thought it may be cancer on my ear it was in such a state, but since having the pillow the redness and scabs around the top of my ear have completely cleared up. We are so pleased with the pillow. Our daughter’s ear is so improved the consultant has discharged her. I have auricular chondritis and pressure on the ear gives me a lesion. I have only had the pillow for three days and already the lesion is clearing up. It really is a little miracle. Just to let you know that I think that your pillow is absolute genius! Bought myself one with Christmas money and it has changed everything! I had pressure sores on both ears and they have healed completely and I no longer wake up in pain! My sister has the same issue and is going to get herself one. Thank-you! What an amazing product you have. Best sleep I have gotten in months ! I have inflamed cartilage on my left ear and it is very sensitive to pressure. Now I am sorry I did not order the pillow case. 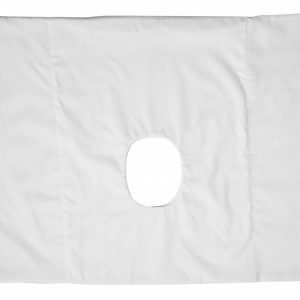 What is the cost (in US dollars) for the pillow case + shipping ? I just wanted to give you some feedback on the pillow. I had the best nights sleep when it arrived! I’m pregnant and so I now have to sleep on my side, which gave me terrible ear ache. Your pillow has stopped the earache completely! Anyway, I just wanted you to know how grateful I am for your perfect solution to my painful problem. I think you have a brilliant product, ordered two earlier this year for my wife who has Alzheimer’s and spends a lot of time in bed and as a consequence developed pressure sores on her ear. Within 10 days of using the pillow with a hole her ear cleared up and we have had no problems since. Just thought I’d drop you a line to say the pillow was great success. I’d had trouble with my ear healing properly after surgery and using your pillow to get the pressure off it while sleeping did the job nicely. My second pillow in a month. Wanted a second one because I absolutely love my pillow. Thank you so much. Just a note to say that your pillow has made such a difference to my husband. The pressure sore on his ear has virtually gone and he is sleeping a lot better. I just wanted to say thanks for your fantastic product. My brother in law Gerard is living with Motor Neurone Disease and is confined to bed. As a result of the limited power in his neck muscles he has had difficulty in keeping his head straight. He has tried various foam wedges but all of them move and end up with his head tilting to the side. While researching on the internet for a more permanent solution I came across your pillow and thought it was worth a go. We tried it tonight and he’s delighted, it gives him the comfort of a pillow while giving his head stability. He asked me to send you a note to let you know how great it is. I just wanted to thank all of you for making my wonderful little pillow! I have slept on it for two nights now. I have not been able to sleep on my right ear for several years and being elderly and a 100 Lb. lady, my left side has gotten very sore from not being able to turn over onto my right but thanks to all of you I can now turn over! I am so very grateful and thankful I found your website. Thank you very much for my pillow with the hole which arrived yesterday. I was diagnosed with CNH several years ago. I’ve fallen in love with the pillow and my ear is so much more comfortable. I recommend the pillow to any one with CNH. I now look forward to my ear gradually getting better. Upon our return home I found the pillow in the post office. I have started to use it and I definitely think it will work for my CNH. I especially like the adjusting factor because I needed the pillow to be softer. Easy enough, just took some of the stuffing out. Next time I visit my dermatologist I will inform her about your product. My eagerly awaited ‘PWAH’ has arrived and I am very pleased with it. Some thought must have gone into the exact design. Thank you to you and your team. I just had to write and tell you how wonderful your PWAH is. I have suffered with bilateral CNH for years, and thought I came up with several solutions for my problem. 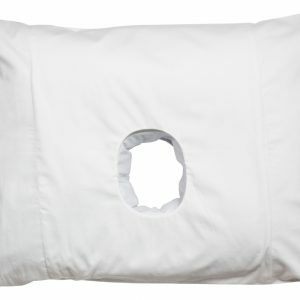 The hole in other pillows were always too small, and the hole not deep enough. Your product is the perfect solution! Quick testimonial. I have battled chondrodermatitis on my left ear. I ordered one of your pillows and within a week, the sore was gone. I could hardly believe it since I had tried every medicine and technique to rid my ear of this painful sore! Thank you for this amazing pillow. It has changed my life. I will never be without my pillow! Chris. M. In the USA. I know it’s the weekend and don’t know if you read your emails, but I felt the need to contact you! Last night I had my first pain – free sleep since before being diagnosed with CNH. My symptoms started about 3 days after coming home from hospital after a total left hip replacement. It got to the point where even the pain meds I was on for the replacement didn’t touch the pain on my right ear. I couldn’t sleep on my left side, due to surgery, I couldn’t sleep on my right side due to my ear. I was seriously considering trying to sleep like a bat. At 70, that was definitely not a viable option. So I finally went to my dermatologist and he diagnosed me with CNH. I did lots of research on pillows to ease my ear, and after reading all the reviews, y’all came out on top. I am so glad I went with you. As I said, first good night’s sleep in months! Thank you so much! As for tracking, it wasn’t necessary as it came so quickly I didn’t have a chance to check on it. I will be recommending your product to my dermatology office so they can give out your info. The only info he had was for a very flimsy pillow made here in the States. And the cost was almost the same! I learned a long time ago, buy good, get good! Thank you again for your amazing and so comfy pillow and pillowcase! I received my pillow yesterday. I didn’t have a thin pillow to put underneath the pillow so just slept on it. No problem at all. I enjoyed a good night’s sleep. I checked it when I put my head down to be sure there was enough space for my ear and there is plenty of room. I really like it and am looking forward to the healing of my ear. Thank you and mostly your mum for the great product. It and the case are very well made. I really appreciate all the work that went into making such a fine product. Anyway, thank you so much for a wonderful product and fast and friendly service.